Holiday, event-based and themed packaging is among some of the most visually interesting and exciting packaging to interact with. Seeing a brand dressed up in colours and styles not quite their own, while still fitting in with their existing personality, is both a novel and a noteworthy experience. Seeing branded packaging outfitted in Chinese New Year packaging can be stunning, with all the vibrant reds, golds and unique graphical elements coming together to form a memorable package. Let’s take a look at 5 vibrant examples of Chinese New Year packaging. Makeup and lifestyle brands are often among the smartest takes on themed packaging. 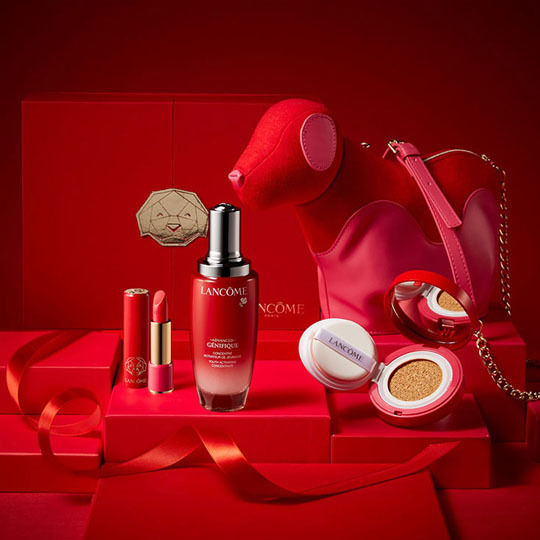 This year, Lancôme went all-in on their Chinese New Year packaging, creating an expansive collection that encompasses their tentpoles of makeup, skincare and fragrances. Looks-wise, it’s a smart play, as makeup packaging is always designed to catch the eye and look spectacular. Dressed in red, the entire set conveys the health and good fortune intended to be bestowed on you. Plus, as it’s the Year of the Dog, there’s a wonderful piece of line art emblazoned across all the packaging, and a very cute dog-shaped carrying bag for the collection. 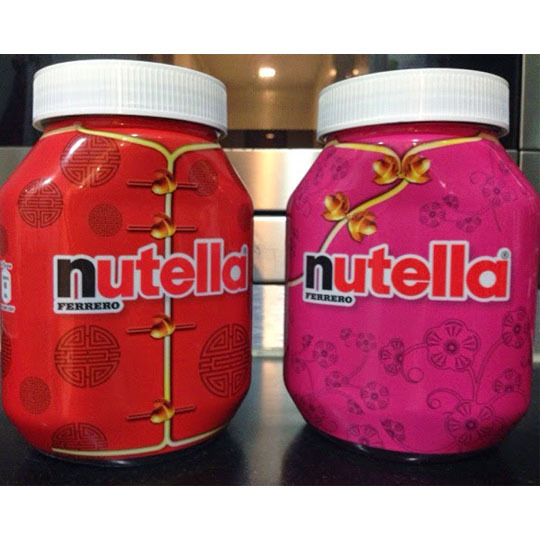 Nutella loves to dress up their bottles, changing their label wrapping into any number of special edition styles and themes. Their Chinese New Year packaging is the ultimate form of dress up, creating a pair of celebratory bottles that are quite unlike any other themed packaging out there. The vibrant red Chinese tunic and the bright magenta-pink cheongsam dress are an eye-catching and completely unique take on how a brand can celebrate Chinese New Year. Godiva never fails to impress, and pay homage, with their packaging. So, it’s unsurprising that their Chinese New Year packaging would be as striking and attractive as you’d expect. The golds of Godiva and the reds of Chinese New Year come together in a brilliant, perfectly-matched colour scheme. 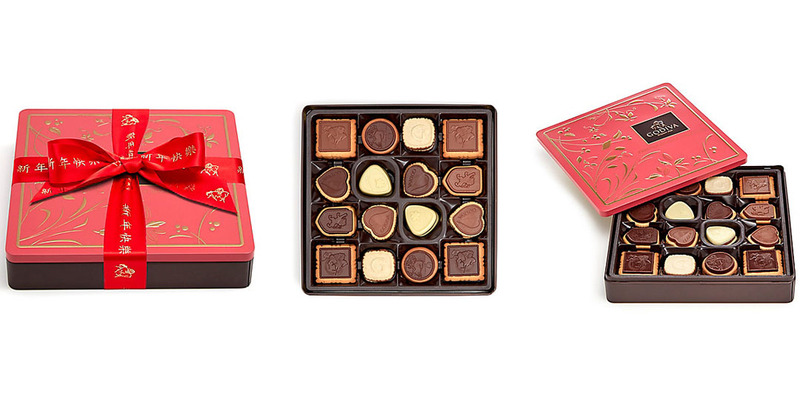 The tin itself is wrapped up in a special red Chinese New Year ribbon, and you just know what’s inside is as worthy of attention and appreciation as any other Godiva collection. Dyson knows their technology, their target markets, and their packaging. 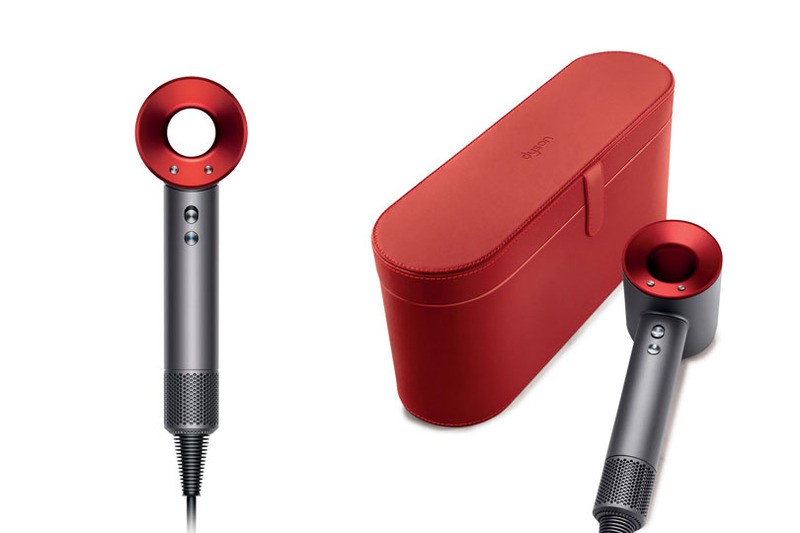 To celebrate Chinese New Year, they adorned a special edition of their hair dryer in the deep, powerful crimson everyone knows well. The cool red of the dryer head and the vibrant red of the carrying case convey the wishes of wealth and health that the new year’s celebrations are known for. For Chinese New Year 2018, Coca-Cola’s created a collection of 8 themed cans. 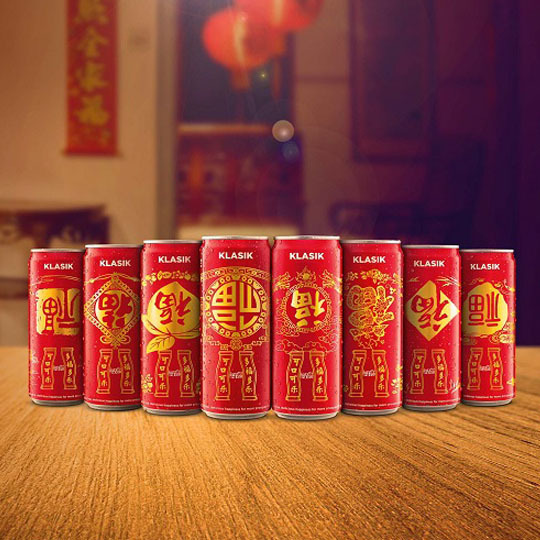 As a part of each can’s design, the Chinese Fu character is displayed upside down (as it’s commonly done during Chinese New Year celebrations) to symbolize good fortune pouring out. It wishes romance, education, health, wealth, success and good blessings to its recipient. And, of course, the deliciousness of Coca-Cola. 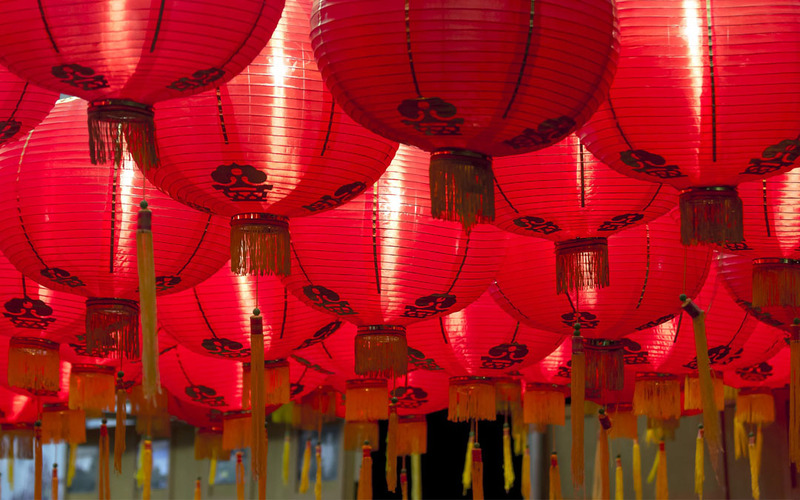 There’s no denying the eye-catching vibrancy of Chinese New Year packaging. It’s colourful, attractive, thematic and instantly statement-making—all the things good packaging should be. We’d love to hear about your favourite packaging themes, so be sure to share them with us. And if you’re looking to gather up your own colourful packaging, The Packaging Company is here to help.